Try your hand at creating a wonderful Sweet Pea Baskets on this one day course. Using the basic techniques of a stake and strand basket we will make a basket to contain and support your summer sweet peas. 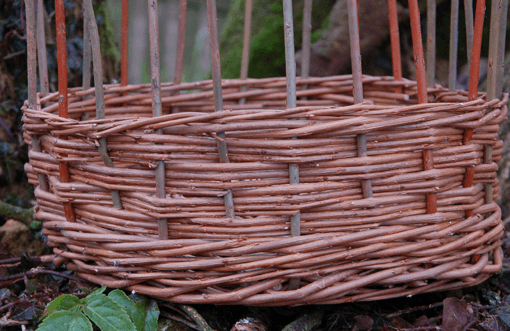 The border of the basket will be left open allowing the stakes to become supports for your climbing plants. Please bring a packed lunch. Delicious cakes and biscuits together with hot and cold drinks will be available throughout the day to keep you fuelled up!